GoPro reintroduced its Karma Drone to the market on wednesday, roughly three months after recalling all the models it has sold. 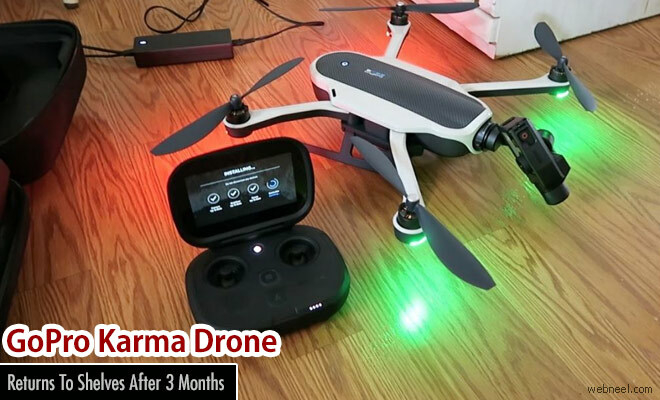 The camera maker pulled its drone model from shelves in early November, after the Karma first went on sale Oct. 23, because a few of the quadcopters "lost power during operation," the company said at the time. GoPro said the problem was a faulty battery latch that could cause the batteries to lose connection mid-flight. The Karma drone will sell for $799 with no camera or $1,099 with a Hero 5 Black in the US. GoPro is also offering a version with of Karma without a stabilizer for $599, since the company began selling Karma’s removable stabilizer separately while the drone was not for sale. The camera company also says shipments will be limited at first, and that Karma will be available internationally later this spring. The Karma is currently available on the GoPro website or from retailers like Best Buy and Amazon.